Looking for Tiffin Services in Vile Parle East & West, Mumbai? 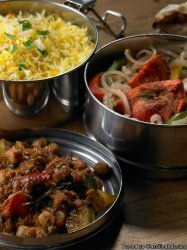 FoodAbhi.com is India's first online tiffin ordering Marketplace! Many choices (50+ vendors), Flexible ordering, On-Demand-Meals, Home/Office delivery! We aim to be your goto one-stop-shop for all daily-meal needs.